Although in England, Shrewsbury was and is a major traffic centre for North Wales railways. Of the 6 lines radiating from here, 4 serve Welsh stations. In infrastructure terms, Shrewsbury station is probably the least changed in the whole of the area I cover. 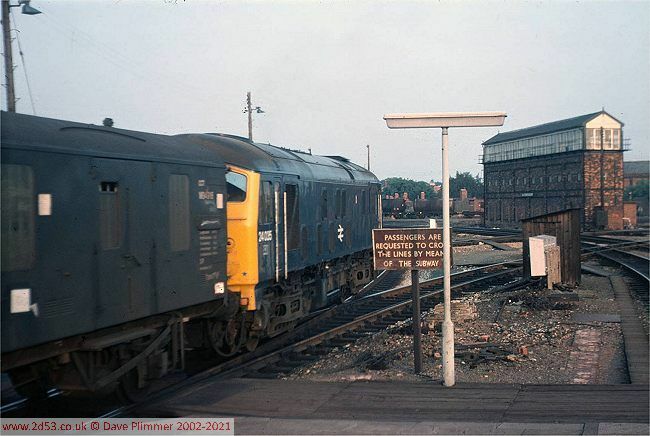 24035 leaves Shrewsbury on the 28th July 1976, hauling the 18:00 Chester to Rugby parcels. This train was at Shrewsbury from 19:22 to 20:05 and during this time it shunted into one of the south facing bays. Also visible is the majestic Severn Bridge Junction signalbox, beyond which two oil tanks and a brake van are visible on then 'avoiding line' side of the triangle. 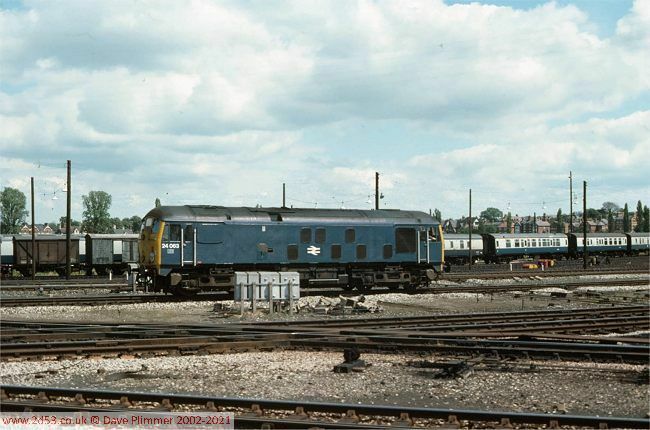 The following day, 29th July 1976, and a very workstained 37158 arrives at Shrewsbury on the 15:10 Cardiff-Crewe. These workings were diagrammed for 'Inter-City' DMUs at the time, and there are a few 'bashers' leaning out of the front carriage. There appeared to be a general shortage of DMUs at the time - 25183 had been working on the Cambrian earlier the same day, and 37's were also appearing on a few Central Wales turns. To the right is 25041. The classic view at Shrewsbury as a loco hauled train from the south changes motive power before running over the Cambrian lines. 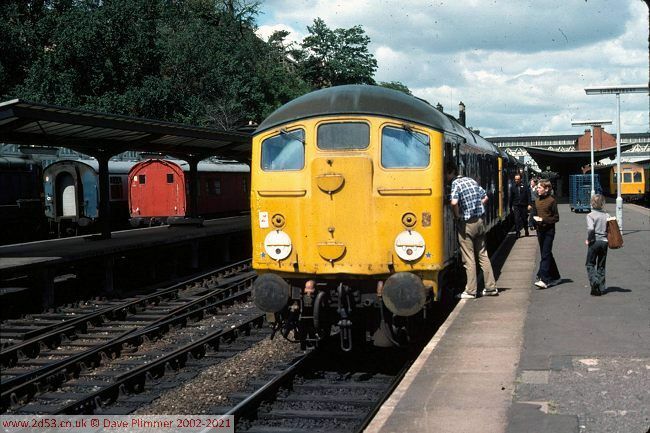 Here, 24091 and 25156 take over the 09:35 London Euston to Aberystwyth on 16th July 1977. Shrewsbury had two main through platforms and two south facing bays. Loco hauled trains reversing generally used the platform shown here. These 2 locos came onto the train here - the two that had brought the train from Wolverhampton would then work back with the corresponding working from Aberystwyth, due into Shrewsbury 3 minutes after this train left. As the train to Aberystwyth left, 24063 which had been in one of the bay platforms shunting parcels stock left on a parallel move to the Wolverhampton line, seen here as the two workings diverged by the signal box. In the background are Shrewsbury carriage sidings. 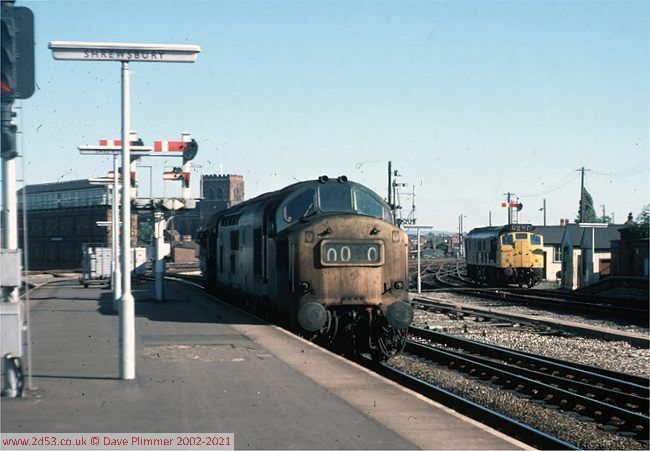 At this time 2 loco hauled diagrams started at Shrewsbury - the daily 07:40 to London and 22:50 to York - together with the Saturday Aberystwyth-London train seen above and a number of parcels trains. 17th July 1977. 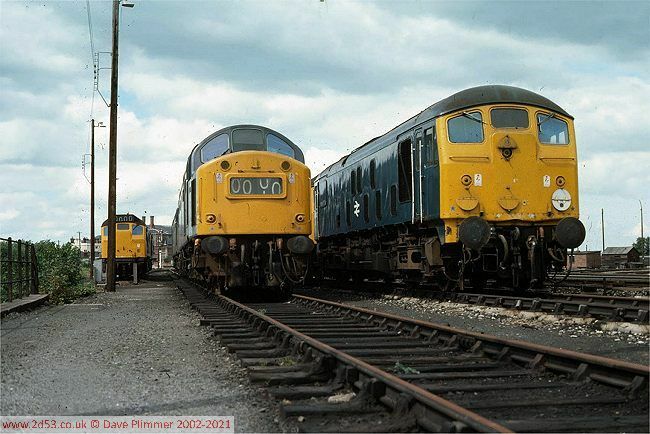 Still on the same day, here is a view of Shrewsbury stabling point, with 25040, 40182, 24082 and two other class 25s and a class 40 present. The stabling point was alongside the line to Sutton Bridge Jn, on the embankment above the football field.